Celebrate summer on the lawn at the Watersound Origins community! 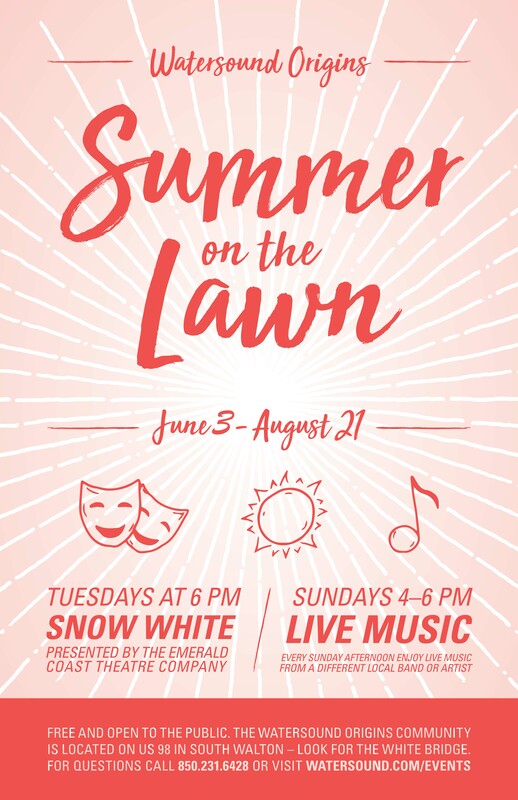 Gather on the Village Commons Lawn every Tuesday and Sunday for live music or live theatre! On Tuesdays, enjoy a theatrical performance of Snow White perfect for all ages. 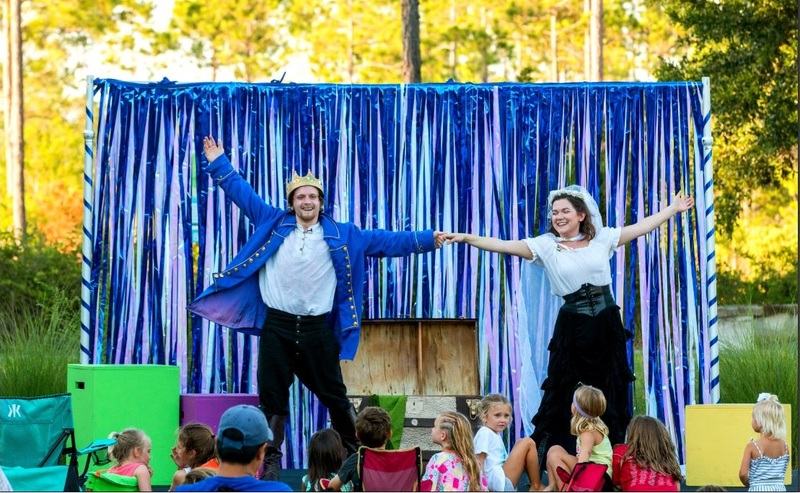 The Emerald Coast Theatre Company cast presents an interactive version of this classic fairy while playing the parts of the Queen, the Huntsman, the Prince, Snow White, and more. Children can participate by being birds, trees in the forest, and of course, the dwarves! On Sundays, enjoy live music from local bands in the intimate setting of the Village Commons Lawn. Stay tuned for July and August Line Up! CLICK HERE for more info on the Watersound Origins community.